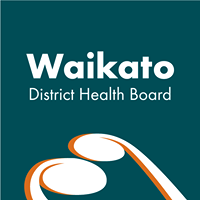 Waikato District Health Board’s regional rheumatology service (http://www.waikatodhb.govt.nz/page/pageid/2145839477/Rheumatology_Unit) at Waikato Hospital is now accepting referrals thanks to a boost in clinical staff numbers. Clinical director Dr Alan Doube said until recently the workload for the outpatient service was so unmanageable he was unable to commit to seeing people within the 180 days required. Rheumatology is a sub-specialty in internal medicine and paediatrics, devoted to the diagnosis and therapy of rheumatic diseases. Clinicians who specialise in rheumatology are called rheumatologists. 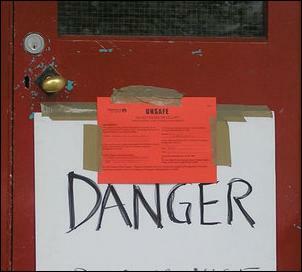 “The DHB has a responsibility once we’ve accepted a referral to commit to seeing them within 180 days,” said Dr Doube. In late 2008 consultant rheumatologist Dr Min Loke died suddenly, leaving the service short staffed for over a year until in February this year Dr Doug White joined the team. He specialises in paediatric/transitional care and ankylosing spondylitis - a chronic, inflammatory arthritis and autoimmune disease. Last month a podiatry rheumatology clinic started at Waikato Hospital to provide foot care in a multidisciplinary clinic to patients with arthritis. From July Associate Professor Peter Jones will hold rheumatology clinics at Waikato and assist at Tokoroa Hospital while Dr Vicky Quincy, currently completing her training in Southampton, England, will join the service spending half her time in rheumatology and the other half in acute medicine. That means there will be a comprehensive Waikato DHB wide service with clinics at Waikato, Thames (twice a month), Tokoroa and Te Kuiti (both monthly) hospitals. The service also provides a visiting paediatric rheumatology clinic. Dr Sue Rudge from Auckland Starship Hospital visits the unit regularly while Dr Kamal Solanki, who has links to the international organisation Eustar, holds scleroderma clinics regularly. Dr Doube specialises in osteoporosis and runs regular bone clinics. “We’ve also got tremendous support from our rheumatology nurses, occupational therapists and the physiotherapists. “We cover the broad range of musculoskeletal disease with some sub-specialty clinics, e.g. scleroderma, metabolic bone disease and a visiting paediatric rheumatology clinic. Our unit is actively involved in industry-based research.